TheRustedChain - The Blog: Guac and stuff. 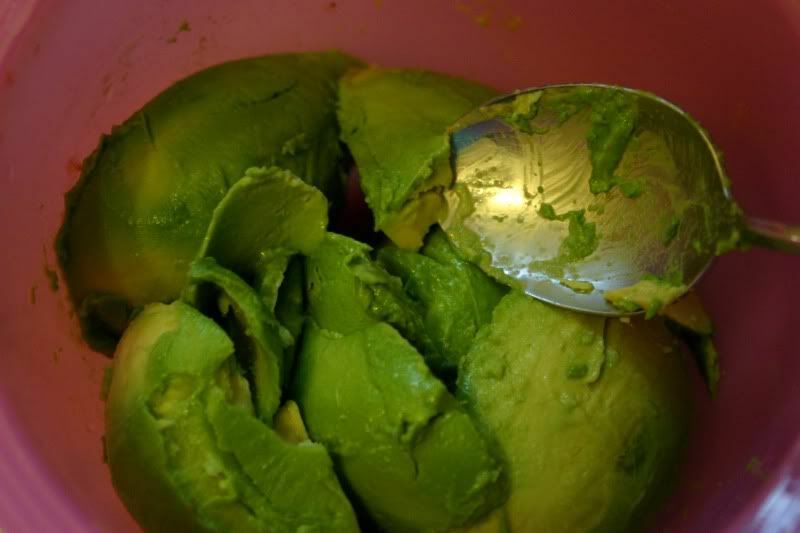 My boyfriend Tyler Florence taught me one time how to make super easy guac. I take it to parties and gatherings sometimes and I get tons of compliments on it! And I'm ashamed to tell people what I actually did. Slice an avacado (or 2 or 3) lengthwise all the way around. Scoop out the flesh with a spoon. Add in some fresh garlic. And salsa! It has peppers, onions, tomato, and everything else in it that you'd need. Mash that in with a fork and you're done. So easy and so good. 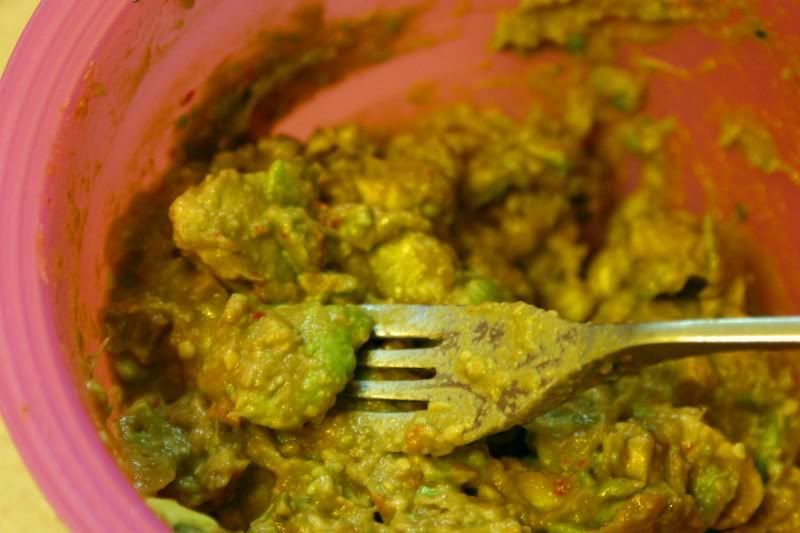 Make it and people will be impressed with your "homemade" guacomole. I've been getting questions about if The Baby has finally turned good. 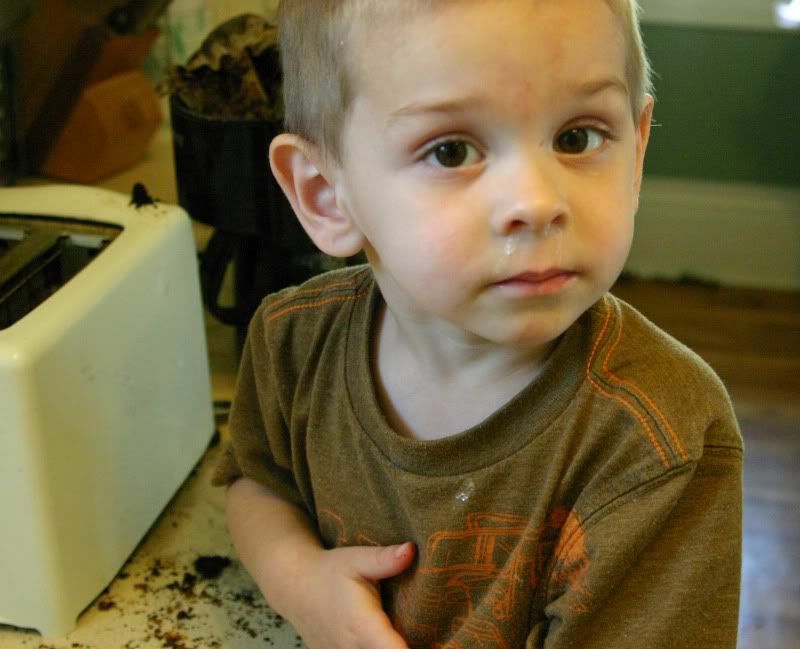 Fear not, long time readers, he still makes messes. Fortunately it's not nearly as often as it used to be. But sometimes you just want some toasted coffee. What?! You don't do this? We had some really heavy rain recently with flooding. 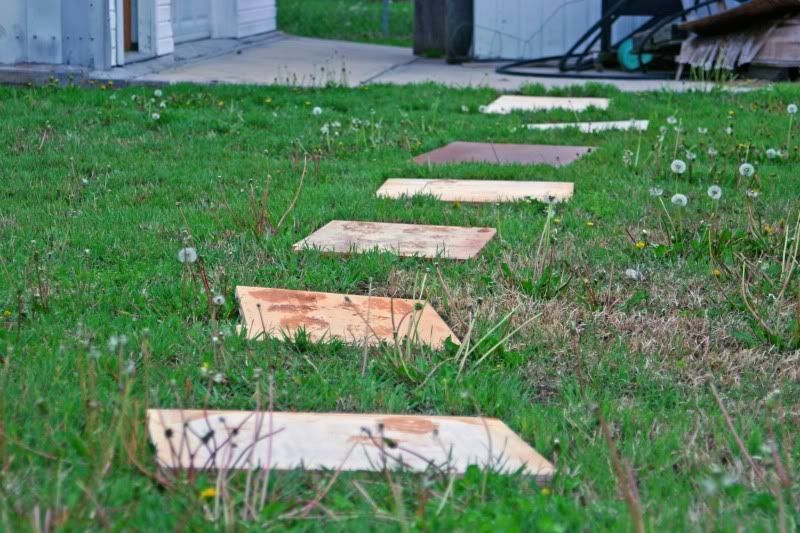 At our flip house, the backyard was so sludgy The Man had to make a pathway to walk on. 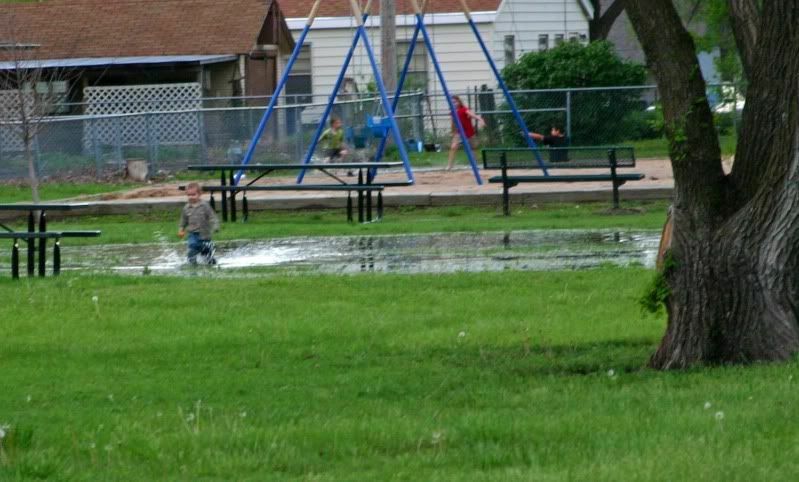 And at the park next to our house, a pond had formed. And my kids couldn't resist going through it a time or twenty. Nasty! They all had hot showers that night. Your Guac. sounds delish! I love anything avocado. That's pretty much the same way I make guac except delete the salsa cause I don't like tomatoes. I add in fresh jalepenos and such and cilantro. The pond looks fun. My kids couldn't have resisted either. Did you see I said delete instead of omit? I've been typing waaaaay too long. Now what fun would it be if bad baby turned good? A lot less blogging material that way. So tell me, have you started building an ark and gathering animals? your kids would get along GREAT with my kids. 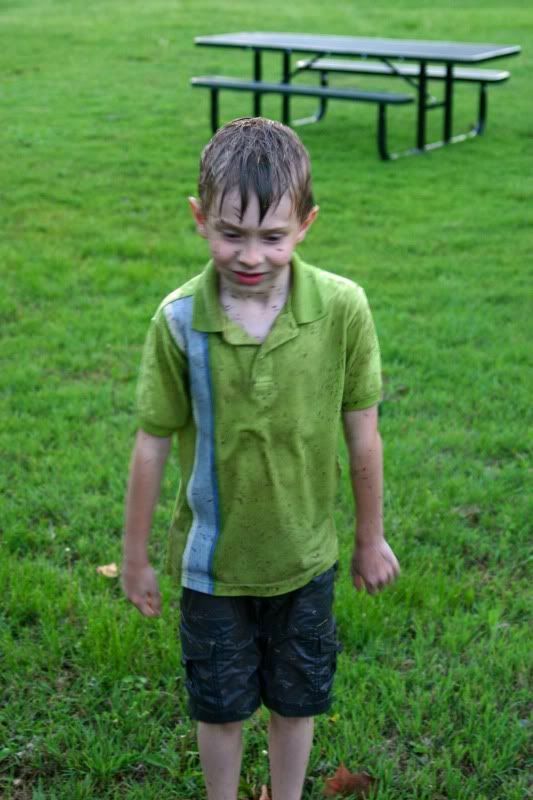 love the pictures of the kids in the rain and messes--they look like they're having a blast being kids and yay for you for celebrating their messiness. 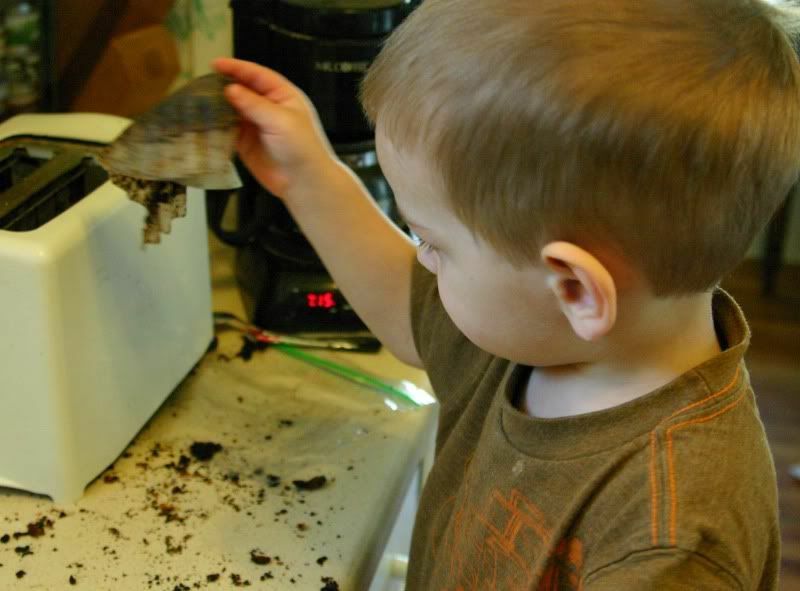 childhood and messiness are shortlived! That's how I make guac, too. I also make my own salsa with garlic and yucky (to you, anyway) cilantro already in it, so I just add that to the avacados and I'm done. Yummy! Love the pic of the baby looking at you. Cute! That guacamole looks lush. And if cilantro is the same as coriander I am soooo with you on that one! I make my own guacamole too, and it's similar to yours, only instead of salsa I add fresh tomatoes and a spoon of sour cream. I also add a tad of cayenne pepper! Thanks for sharing at Tasty Tuesday. I love guac too!!!!! Tyler Florence is your boyfriend??? That's weird because he's mine too!! :) Chipotle has THE best guac I have ever tasted!!! Since you get Tyler Florence, that means I get Bobby Flay, right? I think God invented guacamole to make us happy. 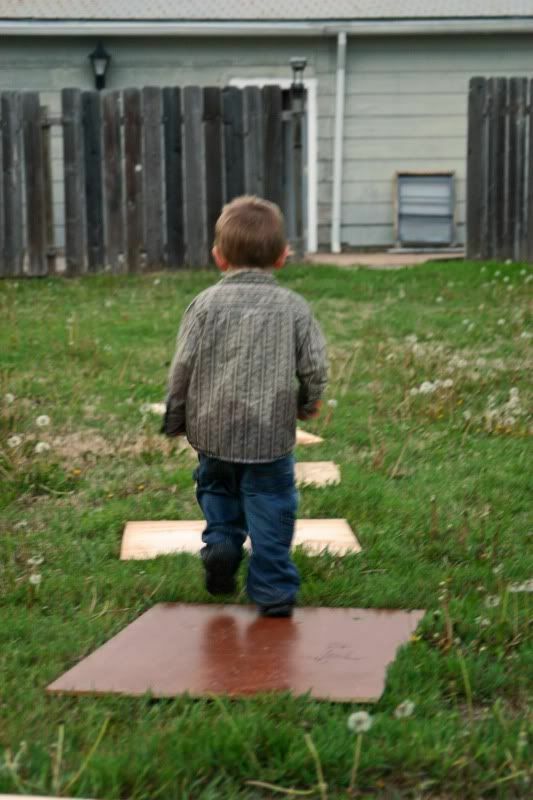 oh yeah, my mackenna would have been body sliding through that "pond" . lol. I like guacamole, but I like avocados with a lot of other things, too! I add a little coriander to my guacamole - the flavor it adds is fantastic!